Sometimes, there are nasty problems which can cause a lot of trouble and cost considerable amount of money. 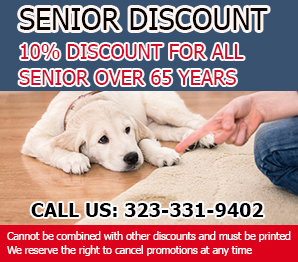 If you call Mold Removal West Hollywood, we can provide many useful services and you will be able to get hold of the monthly discounts we offer. Issues such as mold appearance, water damage, odors and stains can be easily removed via efficient detergents and cleaners. West Hollywood is located in the state of California, in Los Angeles County. The city was established officially in 1984 and its current population is around 35 000. The city is famous for its unique architecture, beautiful buildings, well-known cafés and nice parks. Several record and movie studios have chosen the city to establish their offices. 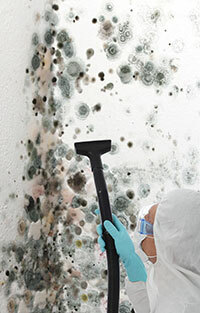 First of all, if you want to prevent the appearance of mold, you need to know more about its origin and way of spreading. The reason for the mold patches are tiny spores which can be brought into your house or apartment in many different ways. For instance, these organic particles can be air borne and might enter a room through the ventilation system. Another possible source is a home pet – it can bring mud and dirt which is sometimes combined with spores. The other necessary condition which will ensure the appearance of mold is water and a lot of moisture. Namely for that, water damage and flooded basements should be cleaned and dried right away. If you have used the services of another cleaning company and they didn’t dry your carpet completely, you risk the appearance of mold again. In a few words, you need to be very careful at home and choose only the best companies for cleaning services. The bad thing about mold is that it can also cause respiratory problems. If you notice that someone of your family experiences nasal discomfort or a person with asthma feels worse, it will be necessary to call us so that we can check your house, find the problem and remove it. In order to ensure the excellent quality of our work, we use the best devices and the most up-to-date techniques that can be applied. The mold can be fully removed when all organic particles are thoroughly extracted from the affected surface – the high temperature which is used manages to dissolve any stains that might remain after the mold is cleaned. If any unpleasant smell remains, we will deodorize the whole upholstery or carpet surface and the odor is guaranteed to disappear in the next few days.